Gingivitis, and its more sinister cousin, periodontitis, affects more than half of Americans age 30 or older. This startling statistic from the Centers for Disease Control in Atlanta becomes more worrisome when we realize the condition affects other areas of the body in very serious ways. Drs. Mark Farthing and Armin Tepner of Indianapolis Family Dentistry diagnose and treat gum disease in their modern Indianapolis, IN office. 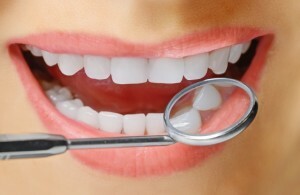 They teach prevention, too, as gum disease is often related to lifestyle. Many, gingivitis begins with poor oral hygiene habits. When insufficient brushing and flossing leave sticky plaque from the foods we eat on our teeth and gums, oral bacteria grow, and plaque hardens into tartar. These germs cause cavities and the inflammation typically associated with mild gum disease. Left untreated, this inflammation leads to bleeding, red gums, halitosis (bad breath), pus and even gum and bone recession. When gum disease gets this bad, it is called periodontitis, and it is a leading cause of tooth mobility and tooth loss. The American Academy of Periodontology states that advanced gum issues are a “significant health problem” in the United States. As people age, they seem more prone to gum disease. Additionally, smokers have a higher incidence because of the toxins contained in the smoke and also because of its high temperature. Dentists see more gum issues in pregnant and menopausal women. The team at Indianapolis Family Dentistry is very proactive about oral health issues such as gingivitis. They teach preventive dentistry–brushing and flossing, as well as 6-month check-ups and hygienic cleanings, particularly for people who struggle with gum disease. In addition, a low-carb, high protein diet with plenty of water and fresh fruits and vegetable helps. When the dentists diagnose active gum disease via visual inspection and periodontal probing, a measure of gum pocket depth, they frequently prescribe tooth scaling and root planing to remove plaque and hard tartar. They also implement the EPIC Diode Laser to heal and debride ailing gums quickly and comfortably. Gums respond well and begin reattaching to tooth surfaces when damage is not too severe. Drs. Farthing and Tepner may instill antimicrobial medications at the gum line to quell infection. Patients with active gum disease may require more than the usual semi-annual check-ups and cleanings to keep gums healthy. 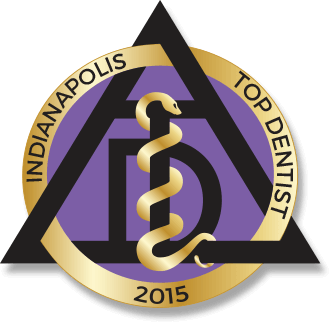 Find out by scheduling your routine oral exam and cleaning at Indianapolis Family Dentistry. Keep your gums pink and intact for a lifetime of great smiles and vibrant health.